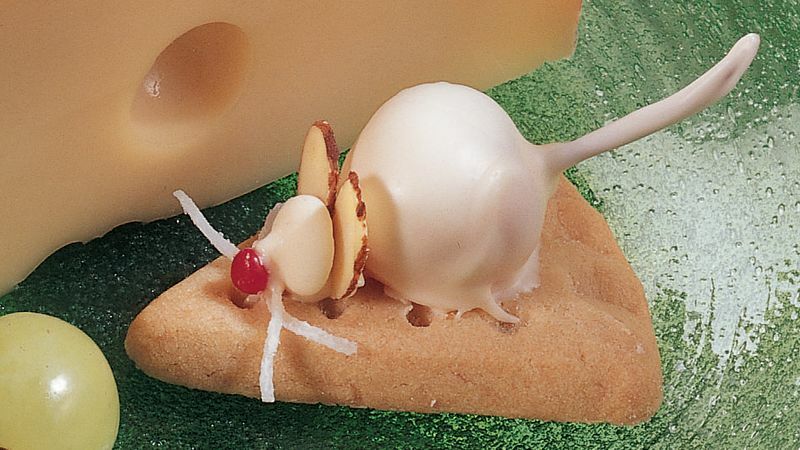 We think the shortbread cookies resemble a wedge of cheese, but you can use other purchased or homemade flat-surfaced cookies for the base of your mice decorations. A merry mouse can add the final touch to your holiday food platters. Kids will have fun placing mice on a saucer next to Grandma and Grandpa's cups of coffee or on a plate of cookies for Santa.